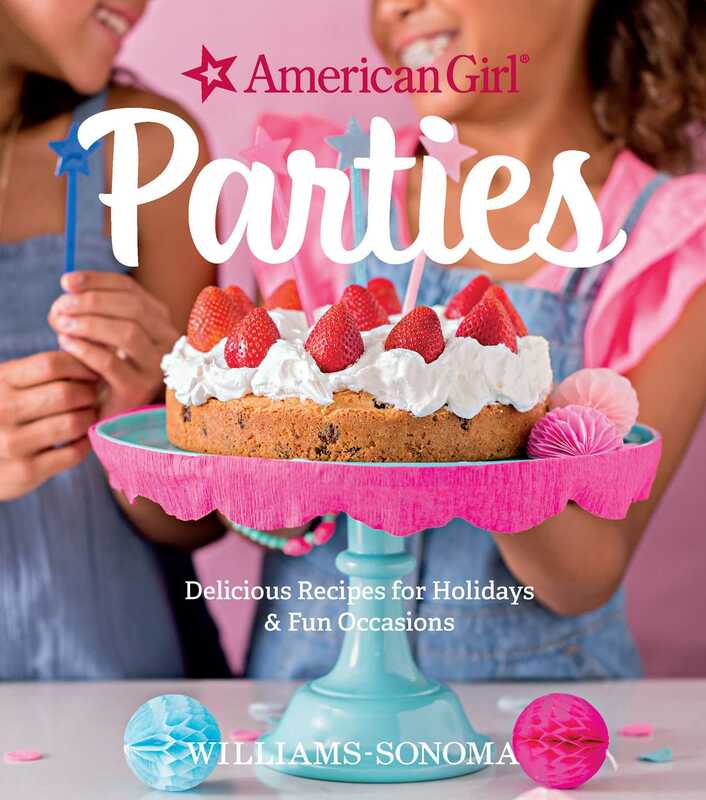 Featuring 40 recipes and eight party themes, complete with fun crafts and decorating ideas for each, American Girl Parties will inspire young chefs and parents alike. In this third cookbook from Williams Sonoma and American Girl, aspiring chefs will discover bite-sized delicacies like chocolate-dipped strawberries and butterfly-shaped cheese sandwiches, along with fare such as chicken-apple sausages on a stick, baked sweet potato fries, and caramel-dipped apple slices for holidays like 4th of July and Halloween, paired with clever serving ideas, fun theme-driven crafts, and colorful party favors. The delicious recipes, fun ideas, and colorful images in American Girl Parties will captivate young cooks and can be made with everyday cookware and kitchen utensils; this companion title to American Girl Baking and American Girl Cooking will be go-to resources for your little chef. To make the cupcakes, preheat the oven to 325°F. Line 18 cups of two standard muffin pans with paper or foil liners. In a large bowl, whisk together the flour, brown sugar, baking powder, cinnamon, and salt. In a medium bowl, combine the carrots, oil, eggs, and vanilla and stir until blended. Add the carrot mixture to the flour mixture and stir gently just until blended. Divide the batter evenly among the prepared muffin cups, filling them only three-quarters full. Bake until a toothpick inserted into the center of a cupcake comes out clean, 16 to 18 minutes. Remove the pans from the oven and set them on a wire rack. Let the cupcakes cool in the pans for about 10 minutes, then transfer them to the rack. Let cool completely. To make the frosting, in a large bowl, using an electric mixer, beat the cream cheese, butter, and vanilla on medium speed until smooth, about 2 minutes. Turn off the mixer and scrape down the bowl with a rubber spatula. Sift the powdered sugar into the bowl, then beat on low speed until blended. Using a small icing spatula, frost the cupcakes. Sprinkle the icing with the toasted coconut to create “nests,” then top each cupcake with three candies so that they look like “eggs.” Serve. Williams Sonoma is one of the most trusted brands in food today. They identify and clarify trends in the marketplace that consumers are interested in learning more about.